Keeping the heat at lowest temperature, add the podi. 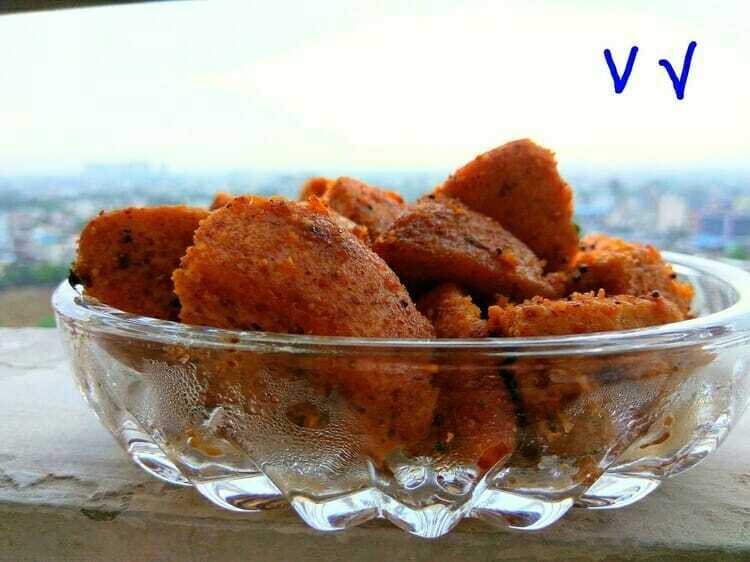 Add the cut idli pieces and thoroughly mix so that the podi coats on the idlis evenly. Saute for 5 minutes by turning the pieces slowly. Serve warm or pack in the lunch box.